This addon displays price ranges for products with combiantions. 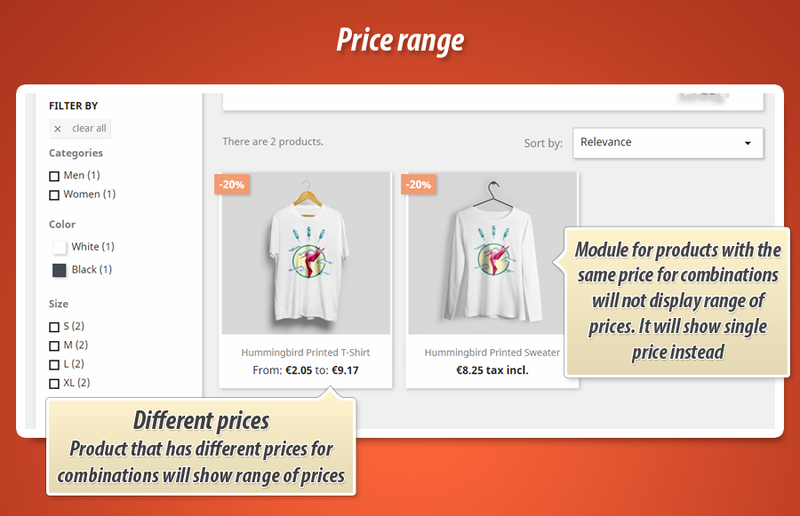 If product has a combinations and if these combinations will have different prices - module will display price range like "from €2.00 to €6.00". Module displays price range on list of products and on product pages. 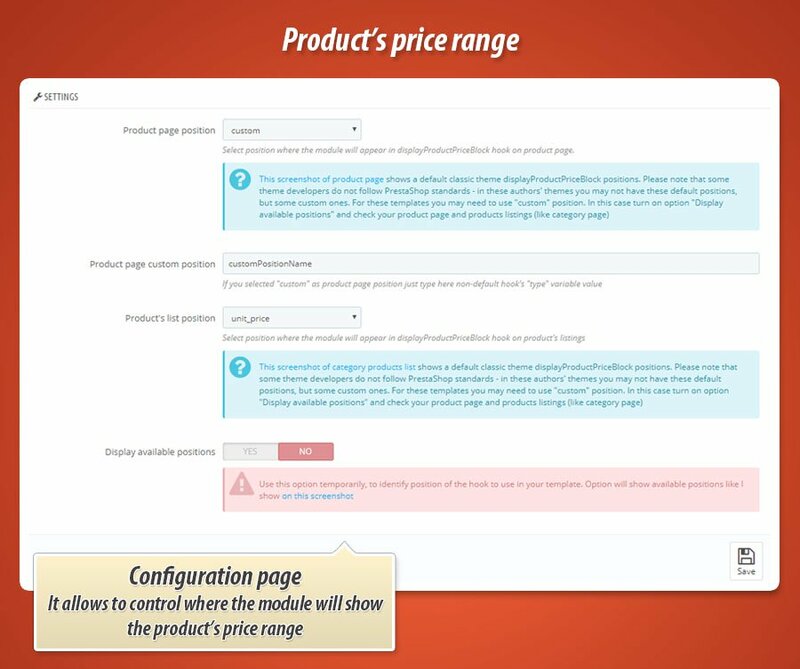 Main feature of the module is a possiiblity to show price range of product if product has combinations that affects its price. 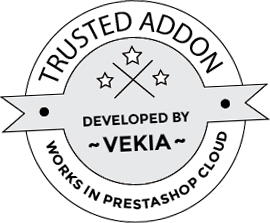 As a shop owner you can personalize the position of the module. On module configuration page you can select where module will appear on product page and where it will appear on list of products (like category view etc.). Available positions are determined by hook named displayProductPriceBlock. Because of this we decided to add support of custom position inside displayProductPriceBlock. If your template uses a non-default position - module is ready to work with it. Configuration page of module allows to use custom positions. If your non-default theme has some new dispalyProductPriceBlock variants - you can easily identify them. Just enable (on module configuration page) option to show available postions. Then once you will open your product page or other pages where the products appear - you will see availalbe positions to use. You will be able to configure the module to dispay price ranges there, where you want. Each item can have combinations that are in stock or out of stock. You can decide if you want to skip out of stock combinations. 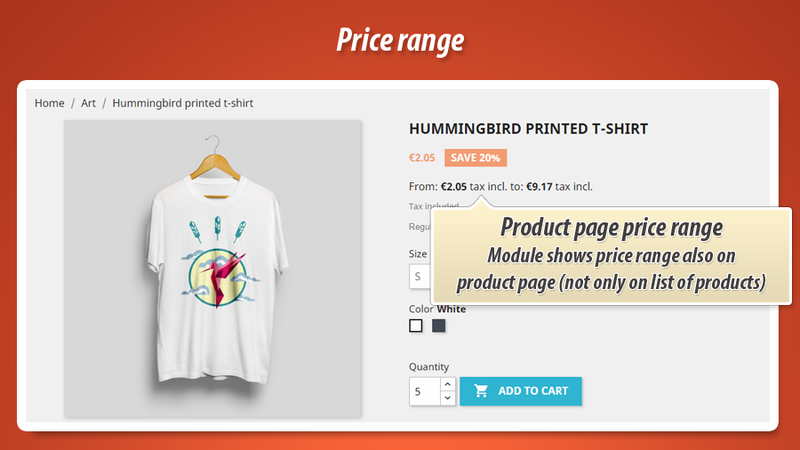 In effect range of price for item that module displays - will contain only prices from items that are in stock.